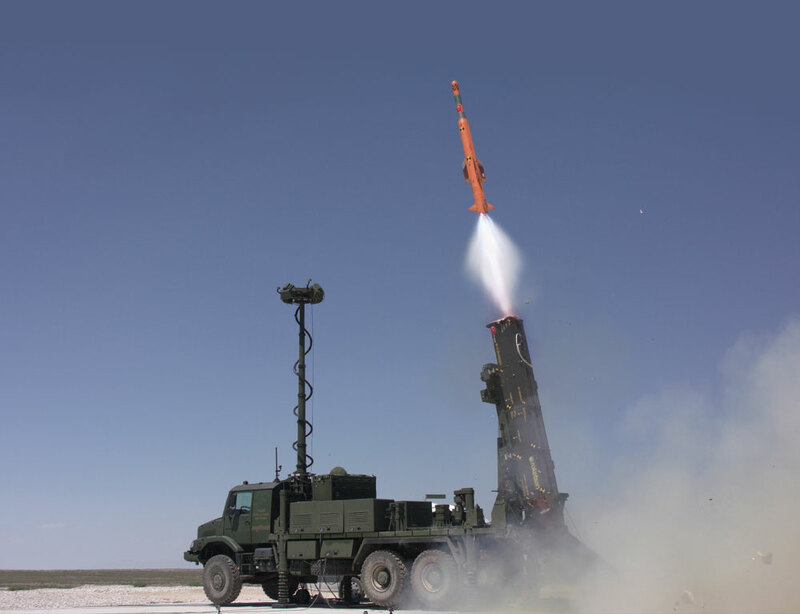 Within the scope of “Hisar” Projects, vertical firing was accomplished for the first time and the 360-degree protection feature was successfully tested. The tests of Hisar (Unique Low / Medium Altitude Air Defense Missile System) were performed in Aksaray by Aselsan and Roketsan with the participation of representatives from the Undersecretariat for Defense Industries and Turkish Armed Forces. “Hisar” will play an important role in Turkey’s air defense capability. The radar, command-control / firing control, electro-optic and communication components of Hisar Systems also took place for the first time in the campaign where the control and guidance capabilities of the high-maneuvered “Hisar” missiles were successfully tested. Thus, significant progress was achieved in the system-level integration and tests. The target detection/tracking, command control/firing tests as well as interim phase guidance tests were successfully performed. The Low Altitude Air Defense Missile System (Hisar-A) and Medium Range Air Defense Missile System (Hisar-O) provides the capability to destroy fixed and rotary wing aircrafts, cruise missiles, unmanned aerial vehicles and air to ground missiles. For air defense of mobile units and critical facilities, “Hisar-A” was designed to defuse fixed and rotary wing aircrafts, cruise missiles, unmanned aerial vehicles and air to ground missiles at a range up to 15 km. “Hisar-A” consists of the Self-Propelled Autonomous Low Altitude Air Defense Missile System, Missile Launching System, Low Altitude Missile that can be launched both from “Hisar-A” and “Hisar-O” Systems, and Missile Carriage and Load System. For the air defense of mobile units and critical facilities, “Hisar-O” was designed to defuse fixed and rotary wing aircrafts, cruise missiles, unmanned aerial vehicles and air to ground missiles up to a range of 25 km. Due to its distributed architecture “Hisar-O” has the advantage of flexible deployment and includes a Fire Control System, Missile Launching System, Medium Altitude Missile, Medium Altitude Air Defense Radar, Electro-Optical System, Link-16 System, and Missile Carriage and Load System. Aselsan is the main contractor responsible for system solutions in “Hisar” Low and Medium Altitude Air Defense Missile System Projects. 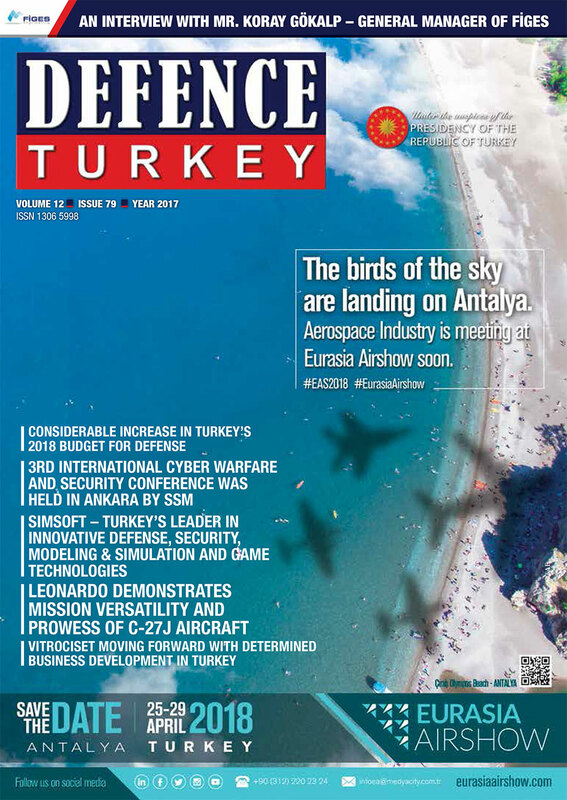 In this context, the determination of system and subsystem requirements, as well as solutions such as communication, radar, electro-optics, fire control, command control, data link for missile interim phase guidance, seekers for terminal guidance are under the responsibility of Aselsan. Roketsan is carrying out the missile development activity which is one of the important components of “Hisar” systems. “Hisar” is being developed together with more than a hundred local solution partners, mainly TÜBİTAK SAGE, Meteksan Defense, FNSS, Koluman, Savronik, YALTES and SDT.